Press Start or Enter to join the game. 4 player split screen with keyboard and xbox controls. Search the crates for 3 diamonds and escape the dungeon before time runs out. 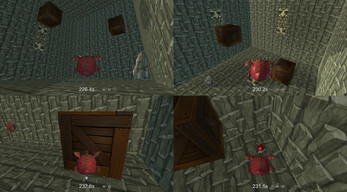 Place bombs in doors and crates to explode players. 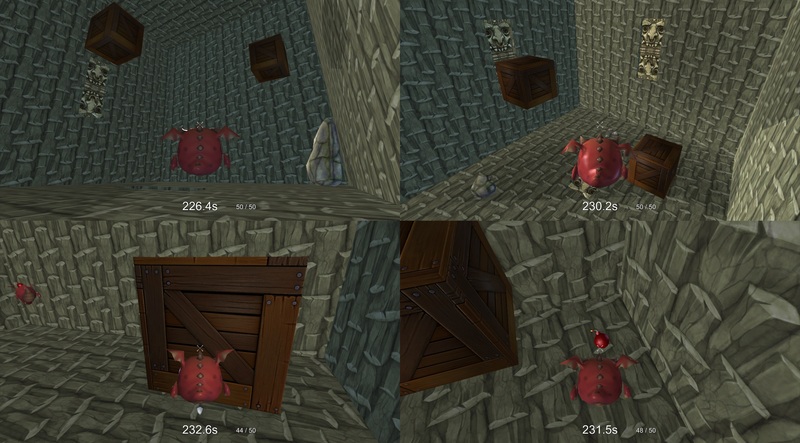 Using a shield will disarm the traps.